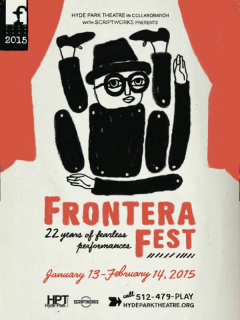 Now in its 22nd year, FronteraFest has become a Central Texas institution for artists, actors, musicians and performers of all types. The month-long festival features four separate components: the Short Fringe, the Long Fringe, Mi Casa es Su Teatro and BYOV (which allows participants to create their own venues). Every night of the Long Fringe, the Ground Floor Theatre will features a longer production that can include anything from live music to new plays by to cutting edge choreography. Please note that most nights of Long Fringe contain multiple performances. Check out the Hyde Park Theatre website for more information about the schedule and ticket pricing.